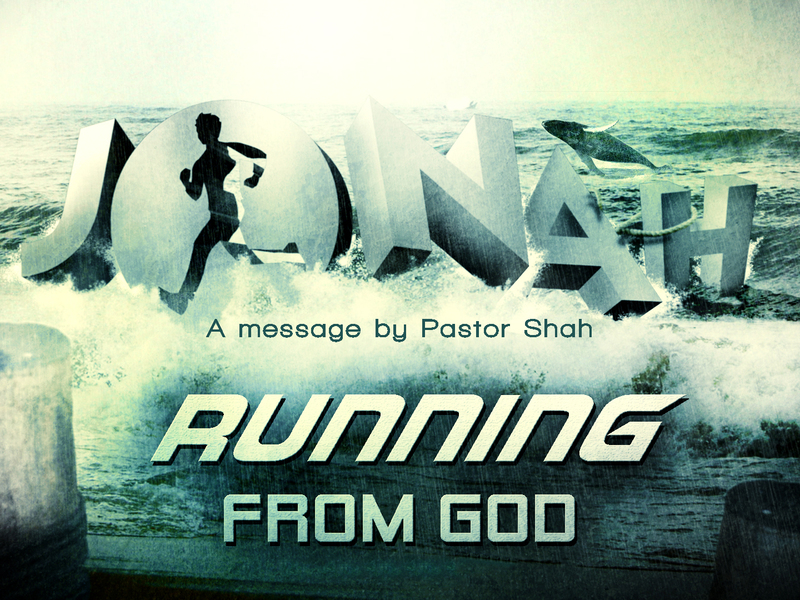 This morning we will conclude our series on the Book of Jonah titled, “Running From God.” Our last message comes from Jonah chapter 4 titled, “The Most Urgent Ministry For Everyone in Church” – Whether you’ve been in church all your life or got here sometime back or this is your first time. Many of you have asked me – “what is this ministry that is so urgent?” Is it preaching or music or prayer or youth or children? It is the SOS ministry. It stands for – “SLIDE OVER SOME” MINISTRY. Overall Background: If I had written the Book of Jonah, I would have ended in chapter 3. What a great way to end with Jonah 3:10 “Then God saw their works, that they turned from their evil way; and God relented from the disaster that He had said He would bring upon them (Nineveh), and He did not do it.” What better way to end than on a high note – bad people became good, trusted God’s grace and God was forgiving and merciful as always. In other words, “And they lived happily every after. The End.” But, oh no, listen to Jonah 4:1 “But it displeased Jonah exceedingly, and he became angry.” The verb for anger comes from the Hebrew word that literally means – “to burn.” In other words, it burned Jonah up.Instead of rejoicing over God’s grace towards the Ninevites or helping lead the Ninevites into discipleship, Jonah gets angry. Listen to his prayer again 2 …“Ah, LORD, was not this what I said when I was still in my country? Therefore I fled previously to Tarshish; for I know that You are a gracious and merciful God, slow to anger and abundant in lovingkindness, One who relents from doing harm. 3 Therefore now, O LORD, please take my life from me, for it is better for me to die than to live!” Why does Jonah want God to kill him? Because now the pagan Assyrians are on the same level as Jonah. Because now the barbaric Ninevites are just as much a part of God’s family as the children of Israel. Before we shake our heads at Jonah, we need to examine our own hearts and churches. How hard it is for people to slide over and let others in. The one ministry that is desperately needed among American Christians and churches is the SOS Ministry = Slide Over Some Ministry. I’m not talking about just sliding over in your pew. I am talking about sliding over in our thinking and our acceptance of others in the body of Christ. This message is critical because if this does not happen, American Christianity is drawing its last breath. You may think – how does this apply to me. Don’t check out yet. You’ll be surprised how much you need it. Let’s see what happened with Jonah: 5 So Jonah went out of the city and sat on the east side of the city. Background: Last time he ran west, this time he runs to the east. Won’t you too? Last time he went west, he got swallowed by the great fish. So he goes east and “There he made himself a shelter (“sukka” = hut shelter) and sat under it in the shade, till he might see what would become of the city. In other words, he is pouting and waiting for God to pick. Christians pout. Don’t let anyone fool you into thinking we don’t. Camera phones and selfies did not invent pouting. It’s been around for thousands of years. Application: How do you respond when things don’t go your way? We are talking about in the church but also in your home and marriage and at your work. What is God’s response? 6 And the LORD God prepared a plant and made it come up over Jonah, that it might be shade for his head to deliver him from his misery. The same God who prepared the great fish now prepares a plant and it provides shade for Jonah. God is trying to deliver him from his misery. The word for misery is the Hebrew word “ra’a” = misery/evil/disaster. When you are pouting you are miserable and you make everyone else miserable around you. Misery loves company. But you know the story – Luke 15 20 “And he arose and came to his father. But when he was still a great way off, his father saw him and had compassion, and ran and fell on his neck and kissed him. 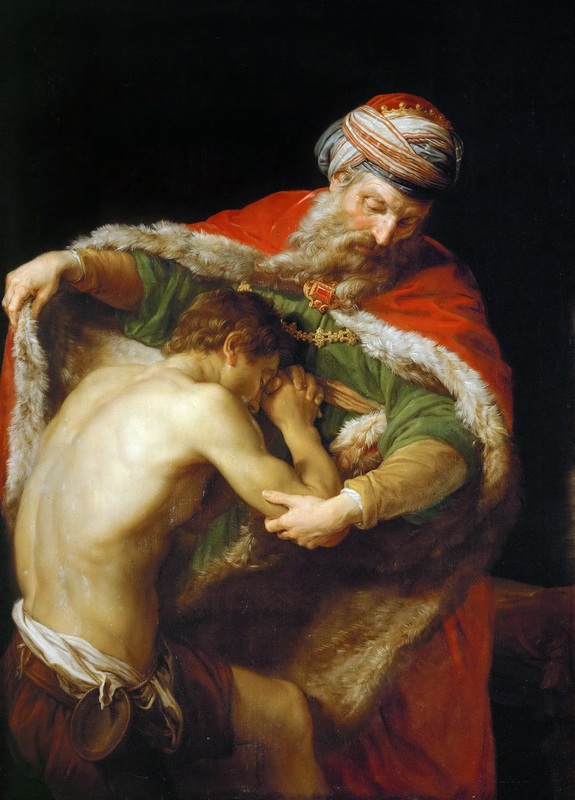 As he is trying to seek his father’s forgiveness, his father interrupts him and commands his servants to, ‘Bring out the best robe and put it on him, and put a ring on his hand and sandals on his feet. 23 And bring the fatted calf here and kill it, and let us eat and be merry; 24 for this my son was dead and is alive again; he was lost and is found.’ And they began to be merry. Now, I’m sure that you’ve heard some wonderful messages of the grace of God towards us when we turn towards Him. I’ve preached some myself. But did you know that it’s not the main point of the story. In fact, the whole section begins with this statement in Luke 15 1 Then all the tax collectors and the sinners drew near to Him to hear Him. 2 And the Pharisees and scribes complained, saying, “This Man receives sinners and eats with them.” 3 So He spoke this parable to them. Because the Pharisees and the scribes complained to Him about the tax collectors and the sinners, Jesus gave this parable of the Prodigal Son. Application: Do you see others as a threat or as a trophy of God’s grace? Back to Jonah 4 10 But the LORD said, “You have had pity on the plant for which you have not labored, nor made it grow, which came up in a night and perished in a night. 11And should I not pity Nineveh, that great city, in which are more than one hundred and twenty thousand persons (Nineveh proper) who cannot discern between their right hand and their left—and much livestock?” What’s the point? Jonah has more compassion over a plant – a plant that he did not put in the ground or even take care of. But, he could care less for people who are made in the image of God. It is amazing to me how people can get tickled over seeing their azaleas blooming! But God forbid if someone sits in their favorite spot in church. Some people can get so excited over finding 99-cent grapes but it tears them up to see more people or different people come to church. Application: Let me ask you something – Do plants or animals or things matter more to you than people? Extend that a little – what is the value of one soul to you? The other day I was driving down the street with my boys in the back. I was listening to them making plans for their weekend. “Okay – first, were going to play the Wii, then, we’ll go outside, and then, we’ll watch a movie and eat cookies.” Just then I saw this rough looking guy walking. I don’t know anything about him. He might a horrible criminal who could kill me without thinking twice. Right then a thought crossed my mind – “The same God who made my boys also made him.” He values that person just as much as he values them. Let me switch gears here – the burden for “sliding over some” is not just for the people who have been here for a while but also for people who are new. In the Book of Acts, there is a great illustration of this. Acts 6:1 Now in those days, when the number of the disciples was multiplying, there arose a complaint against the Hebrews by the Hellenists, because their widows were neglected in the daily distribution. Background: The Hebrews were the first Christians and the Hellenists were the next to arrive. It wasn’t long since Jesus had left them. It wasn’t long since they had the outpouring of the Holy Spirit. But already, there’s a division in the church. This time the tables have turned. Those who came in after are complaining about those who have were there first because they felt neglected. The church is a home. How do you act when you go to someone’s home? Do you walk in demanding your way? Of course not. You come in with humility. This Church is about Jesus Christ. Do you know Him who bought our salvation by His blood?